Indulge your passion for flying and general aviation for three great days each year. Aviation Insurance Resources (AIR) agents are scheduled to attend the 2013 AOPA Aviation Summit from October 10-12 in Fort Worth, Texas. The Summit is designed to provide pilots with new resources, new relationships, and ready-to-use expertise. Oh yea, and fun! We can’t forget about the fun. Ready-to-use Expertise: The AOPA Aviation Summit provides pilots with the knowledge and tools to help them retain and recall critical information when needed the most. New Resources: The AOPA Aviation Summit boasts more than 400 exhibits, featuring the latest and greatest products that general aviation has to offer. New Relationships: The AOPA Aviation Summit allows you to connect with fellow aircraft owners and pilots, as well as general aviation’s best experts. Fun: Each night, the AOPA Aviation Summit offers an activity that allows the fun to continue long after the exhibit hall closes. AIR agents are proud supporters of the Aircraft Owners and Pilots Association, better known as AOPA, the largest and most influential aviation association in the world. Incorporated on May 15, 1939, AOPA, a not-for-profit organization dedicated to general aviation, constantly fights to protect the freedom to fly while keeping general aviation safe, fun, and affordable. AOPA provides member services ranging from representation at the federal, state, and local levels to legal services, advice, and other assistance. AOPA has built a service organization that far exceeds any other in the aviation community! 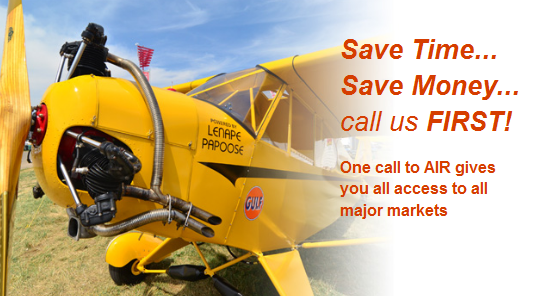 To find out more about the 2013 AOPA Aviation Summit or Aviation Insurance, please contact Aviation Insurance Resources by calling 877-247-7767 or visit AIR-PROS.com today to receive your free Aircraft insurance quote!